A well-established school run by a friendly, committed and knowledgeable team who are focussed on helping students achieve their specific learning goals. The school is located in the centre of Bishkek in a neighbourhood which is colloquially known as Belinka-Bokonbaeva. Our students' academic needs are supervised by skilled educational managers and teachers. They provide advice to maximise the students' learning potential and make the learning experience a positive and enjoyable one. The school has undergone complete refurbishment. It is sparkling clean, freshly painted with new equipment and facilities installed. There is a large team led by the School Director that can provide you with clear and accurate information about the programmes we offer, and will help you choose the course that is right for you. There are 10 classrooms in total of varying sizes. Classrooms are appropriately furnished, equipped and in good repair. They are fully ventilated and/or heated. Students can use this room and the resources in their own time to review lessons, do homework or prepare for a test. Alternatively, our students like to read and listen for pleasure, they can ask a member of the academic team for suggestions. The computer room is mostly used for the practice of TOEFL iBT tests, and the official exam. It can be used as a classroom if teachers request it. External customers and students alike can buy coursebooks, workbooks and reference books at the school to help them with their studies. There is a permanent member of staff on hand to answer any questions. 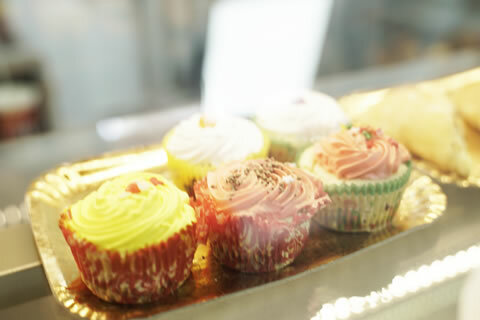 The café has a familial feel to it as homemade dishes are freshly served every day for a very reasonable price. Students can sit in the café and enjoy their meal with their friends and teachers to keep them company. 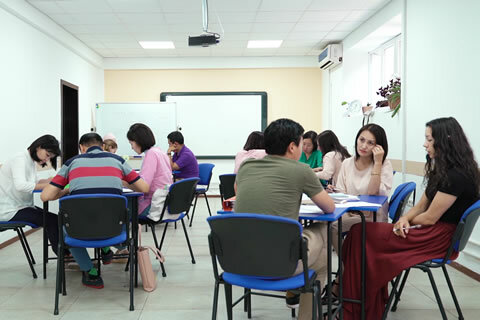 BSC Kyrgyzstan is situated in an excellent location with street parking available at the front of the school. It is close to the main banks, cafés and hotels.